Songs that inspired Remind Me How This Ends. Songs that belong on Remind Me How This Ends‘ hypothetical film soundtrack. Songs that make my heart swell and ache. Songs that make me want to kiss people I shouldn’t and blow off work and live a messy life. But, most of all, songs that immediately transport me to Layla and Milo’s world. Every single time. 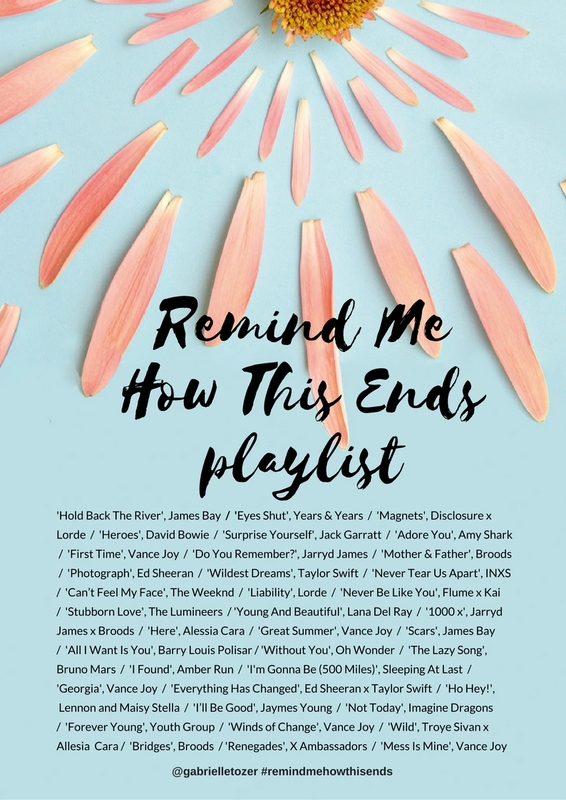 Make a playlist, have a YouTube party, dip in and out while you’re reading Remind Me How This Ends… and let me know your favourites via Twitter, Facebook or Instagram. I’d love to hear from you. PS: Read more about Remind Me How This Ends (on sale Monday, March 27) HERE.